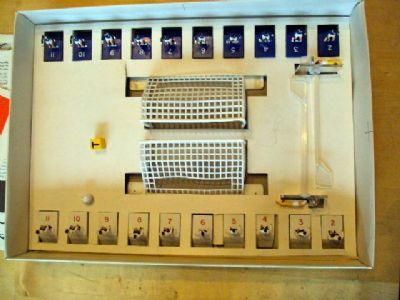 The original version of this long running game format by Tom Waterman. This game has been relaunched as Grand Slam, Premier League , local derby sets and Premier Table Soccer 2000. 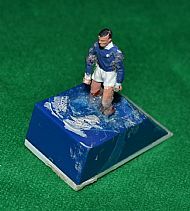 I am always looking to buy individual teams, bases or figures from this early version. 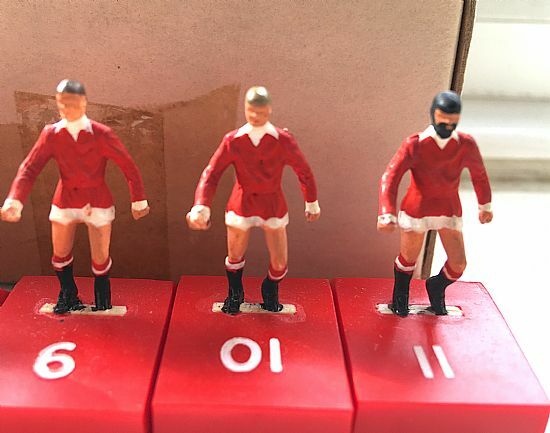 Complete boxed Man Utd team in named box. Good condition. 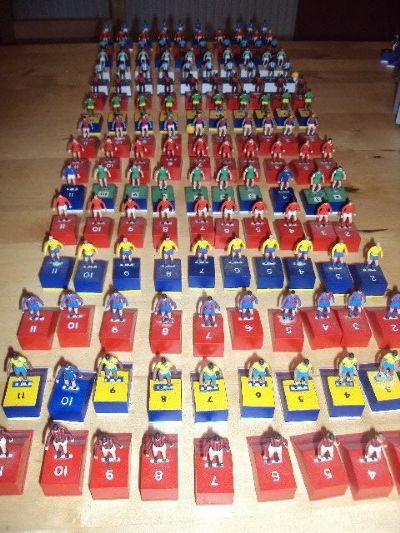 No idea if this is home painted or how the team was supplied - several players are clearly identifiable. Very nicely presented teams and accessories. Box also contains baize pitch and instruction sheets. 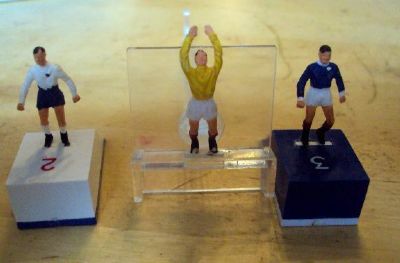 The figures are almost identical to Subbuteo heavyweight figures but on massive block bases. Hand painted and well detailed. The keepers benefit from massive clear plastic backing panels! 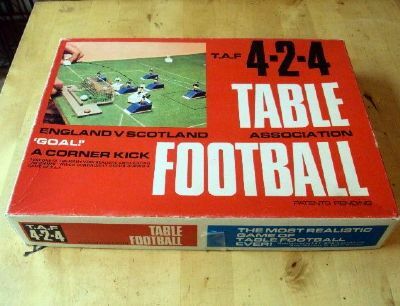 From the box lid, the game being played. 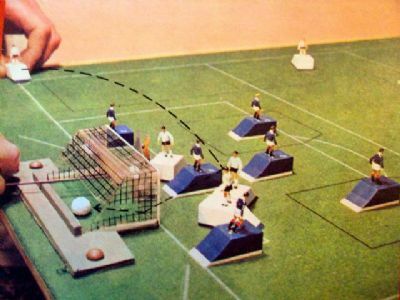 The box bases are used to trap or direct the ball. 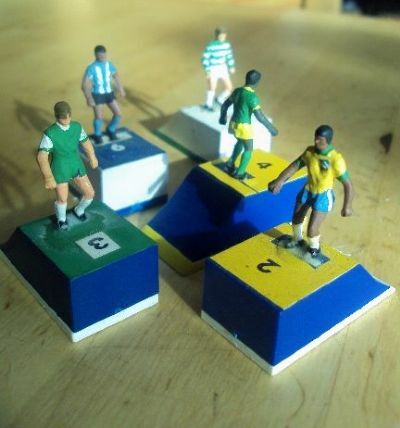 Extra teams were available in many kits and also a bespoke painting service was available. 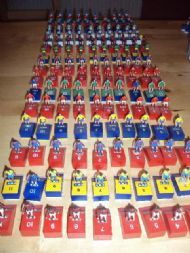 These kits are not original but home painted. A game for real men. 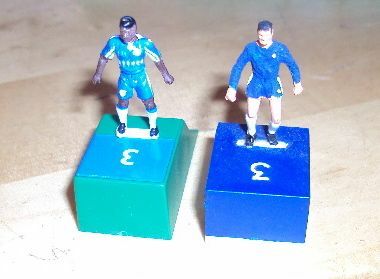 A Chelsea player from 1970 and one from the 2000 reissue. 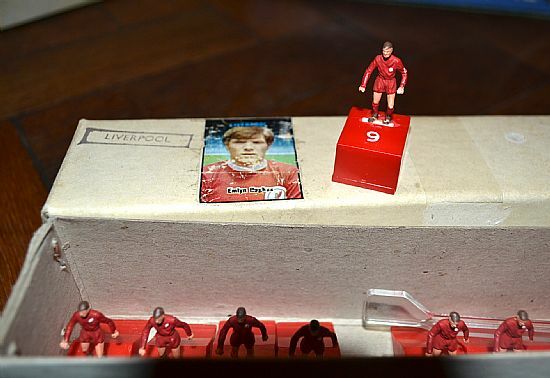 Complete Liverpool team in named box, a couple of neat reglues and presided over by Crazy Horse himself. 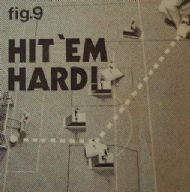 TAF also made less successful, less fashionable foreign clubs such as Arsenal available for the specialist minority market.